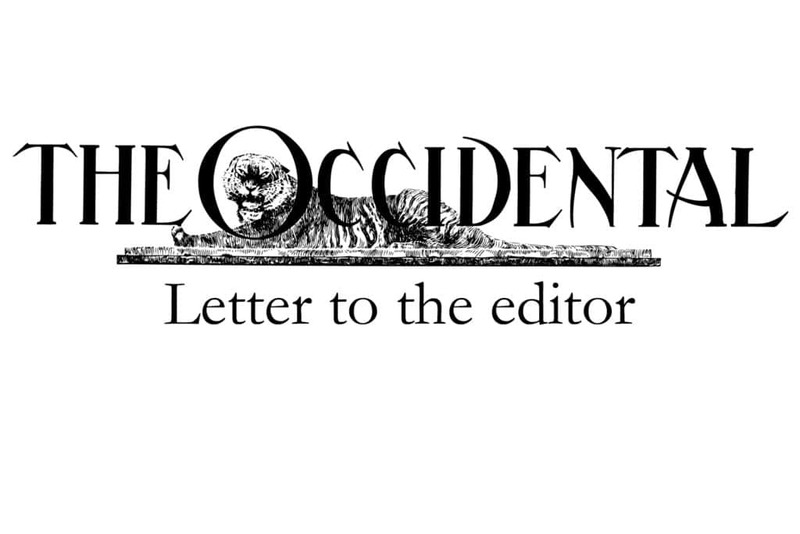 Letter to the editor: I stand with the Yale faculty who resigned from an exploited program in Ethnicity, Race & Migration. I am doing the same. This letter originally appeared on Professor Courtney Baker’s personal Facebook page. It has been reproduced here in its entirety, with only minor changes made to formatting. It is with a mixture of emotions that I announce my resignation from Occidental College. It was not my intention upon arrival at Occidental to leave so soon. Over the course of three years, I have worked tirelessly to build a curriculum in Black Studies while maintaining what I only realized after arriving at Occidental in the Fall of 2016 was a severely under-resourced and unstructured department of American Studies. Over the course of my nearly three years at the college, I and my colleagues have tried very hard to have our recommendations — based upon our years of leading programs and departments in American Studies and African-American/Africana Studies and our expertise in these fields — heard by administrative bodies. However, upon our arrival we were told by the then-chair of American Studies that he had no interest in Black Studies. The chair also refused to revise the American Studies curriculum to reflect our presence, leaving our courses under-enrolled. The chair eventually left the department, leaving the two new hires to simultaneously build Black Studies while administering a precarious American Studies. We also faced hostility from the senior administration about preserving American Studies, being called to task for advertising the program to students (something that we had not done and were advised not to do). We also received mixed messages from the Academic Planning Council regarding whether or not it had already been decided that Black Studies would be a minor. Thankfully, that assertion was rejected after we insisted that (1) this was not what we had been told upon our hiring and (2) this was not the will of the faculty who were to contribute to the curricular enterprise. Indeed, a number of polls of the faculty and students indicated quite clearly that what was desired was a department of transnational Black Studies. We were, however, instructed by the dean of the college not to propose a department, but a program instead. We put through a proposal — unanimously approved by the faculty — to launch a program that would strive to grow to a department. This was also reported by the college’s official Communications office. Subsequently, the dean discouraged us from putting forward a proposal for a faculty line in Black Studies even though the proposal indicated that we would. The dean also later informed me that it was “highly unlikely” that Black Studies would ever become a department. Our questions about the status of American Studies were put off until after the launch of Black Studies in Fall 2018. At this point, myself and the other remaining faculty member in American Studies were instructed to shut down the department and move our lines to another department or to put our lines in the Black Studies program. When the administration realized that the closing of a department was not within their purview but instead under the auspices of the general faculty, we were offered the option of staying in American Studies, but were given no indication that we would be permitted to seek additional hires to make the department sustainable. It is my hope that my departure will signal to the administration that our concerns need to be taken seriously. We have already laid out the issues several times over the past years. I hope that they will now finally be heard. We need actual support for our work — not late-addition palliatives that actually result in additional work for those already overburdened by keeping Black Studies and American Studies afloat. – Curriculum. Under the current structure, Black Studies is unable to guarantee courses on a year-to-year basis as those courses must fit into department schedules. – Multiple primary appointments in Black Studies. Required introductory courses within programs risk being unstaffed as there is no guarantee that affiliated faculty have the necessary training and expertise to teach this course nor that they are regularly available. Furthermore, given the current cultural landscape in which, to again quote our colleagues at Yale, “[t]he rise of white nationalism, a refugee crises across three continents, climate migration, and pressing matters related to immigration and detention, voting rights, policing and incarceration, and racial violence,” as well as the specific problems facing Oxy — including the recent history of blackface, invocations of an Aryan alliance, the repeated celebration of a leading eugenicist — the college needs to acknowledge, hire, and adequately compensate those who are being called upon to address these issues. – Avoid exploitation. The proposed interdisciplinary model, in which current departments might hire a faculty who can donate courses to Black Studies, figures Black Studies as always secondary rather than primary and functions to further shore up existing disciplines while leaving Black Studies as an add-on. – Structural support for interdisciplinary work. Currently, the registrar does not permit cross-listing in more than two academic units. This means that no single course listed in Black Studies can count toward any unit other than the faculty member’s home department. A greater issue: courses that have already been cross-listed cannot be listed in the course catalog with a BLST designation, making it difficult for students to find the courses they need. – Recognition of and compensation for faculty interdisciplinary labor. Currently, faculty are relieved of one course for supplying extraordinary labor to the college on top of their regular teaching and research duties. Those duties entailing extraordinary labor include chairing a department or program and serving on campus wide committee. However, this compensation is not provided to members of program advisory boards even though they are effectively conducting at least 150% of the work of single-appointment faculty. Courtney Baker is an associate professor of American Studies and the co-founder and chair of the Black Studies program. She can be reached at baker@oxy.edu.